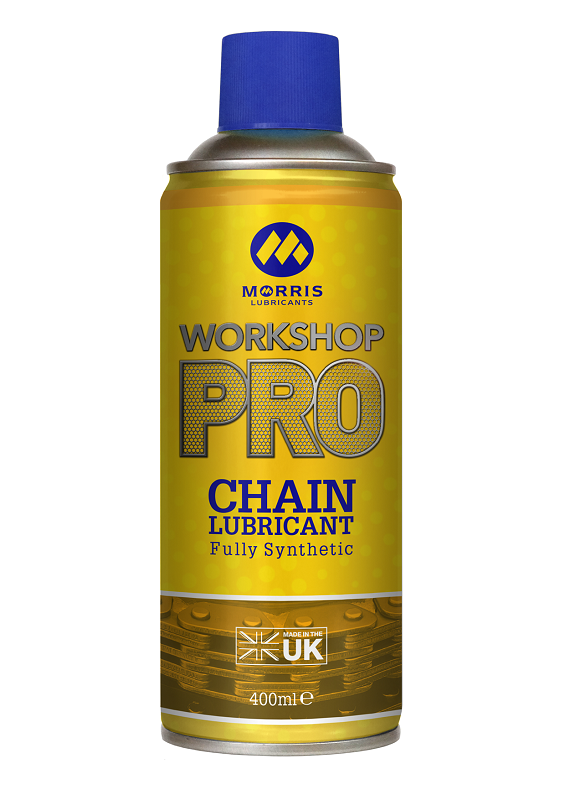 Workshop Pro Fully Synthetic Chain Lubricant is a specially formulated aerosol designed for the protection of chains used in a variety of applications. This product is initially a thin flowing lubricant which when sprayed, searches and penetrates into the chain links and rollers. Within a few minutes the solvent carrier ‘flashes off ‘ and the product thickens and provides a strong, cushioning and lubricating, grease like coating on all parts. This coating has powerful anti-fling properties and is not displaced by the fast movement of the chain. Chain and sprocket wear is reduced to a minimum by the lubricant coating. 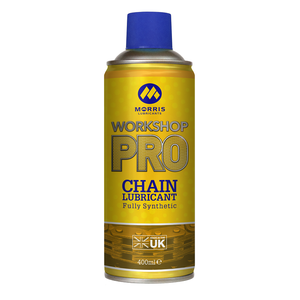 Workshop Pro Fully Synthetic Chain Lubricant is recommended for use on motorcycle chains, lift and drive chains, leaf and roller chains, conveyor system chains, et cetera. Note on Usage: Light treatment is highly recommended as part of regular routine maintenance. The film produced by Workshop Pro Fully Synthetic Chain Lubricant is clear, but highly tenacious and therefore, excessive application of the product should be avoided.